The other day I came across this extraordinary website that I wanted to share with all those out there who want more than anything to connect with the mother of your future child. Thanks to the miracle of new media, there are more options than ever to get the word out about your desire for family. 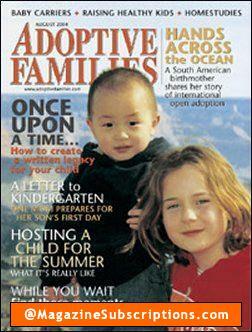 If you are interested in domestic adoption, this is an option you should seriously consider. Remember, though … a website is only as good as it is effective in making connections. Put your URL out there every way you can think of. That is every bit as important as creating the site itself! Are Your Head and Heart in Balance? Yesterday we had a sibling visit with my children’s older brother (“brother by blood,” as my kids say). Casey was adopted by another couple, who went on to adopt a second teenager (God bless ’em) after raising two “home-grown” children. In less than a year, Casey went from being the oldest to youngest in his family of four kids. And he would be the first to tell you it hasn’t been easy. “I get mad a lot,” he said to me last night over burgers. Ironically, he knows in his head that he ‘s better off now. “If I had stayed with my parents, I would be dead by now,” he tells me. “It wasn’t safe. Not for any of us … not my brother, and not my sisters.” Even so, he yearns for his first family. I keep praying for him, hoping that he will let his guard down and return the love of his adoptive parents. Someday soon. To their credit, Casey’s new family is hanging in there. It can’t be easy. But they have made a commitment to this boy, and by golly they are going to see it through. Each day, they will to love Casey, even when their hearts must break from all his mischief. I admire them more than I can say. So much about foster parenting (and in some cases, adoptive parenting as well) is about keeping natural heart impulses in check in order to give the head free reign. As mothers, we want to nurture and tend to our children’s every need. We want them to be happy and well adjusted. We want them to be safe and well. We willingly put our own needs on hold at times in order to secure these things. And when reality doesn’t match the rosy image we have in our heads, we get discouraged. Which is one of the many reasons God created husbands and wives to work together in the task of parenting. When I struggle in knowing the right way to handle a situation, I can count on my husband to help us both gain perspective. When I get in over my head, I know I can trust him because he is (a) the smartest man I know and (b) the kindest. Oftentimes when a couple begins to explore adoption, one or the other is more enthusiastic. Usually, but not always, it is the husband who is the more reluctant partner, or the one who has more questions. When people have asked me what to do when this happens, my advice is simple: Get the answers you need so BOTH of you are comfortable with the decision. God also gives us pastors, and friends, and extended family — all of whom will need to be on your “support team” if and when you decide to add to your family through adoption or foster care. Ultimately YOU are the one who must make decisions for your family — and live with those decisions. But if you are conflicted, or confused, or uncertain … Striking that all-important balance is easier to accomplish by talking things over with a third party. Don’t rush, or allow yourself to be talked into something you know in your heart is beyond your abilities to handle. 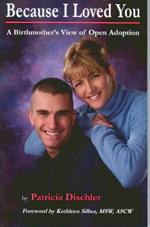 Get the answers you need, and take all the time you need, until you and your spouse are in agreement. There are thousands of children in need of homes … and sadly, most of them will still be there a week or a month from now. Trust God to bring your child to you when the time is right. “Adoption is the sweet fruit that miraculously falls from bitter trees.” (The Call to Adoption, p.153). John Paul II and National Adoption Month! November is National Adoption Month — and today, November 15 — is National Adoption Day!! Yipee!!! Are you looking for ways to celebrate adoption? Click here to go to an article from “Adoptive Families” magazine that offers 30 ways families can celebrate! For more information about this important resource for adoptive parents, or to subscribe, click here!